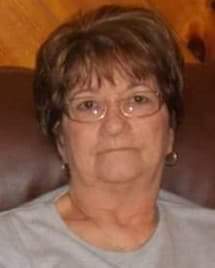 Bonnie Kay Swanson, age 71, of Whitley City, Kentucky died Sunday January 27, 2019 at her home. She was born in Lyons, Colorado on February 20, 1947 the daughter of John and Myrtle (Bierman) Warfield. Bonnie enjoyed Bingo and her grandchildren. She is preceded in death by her parents; brother, Delmus Hall, Stanley Hall, and Jerry Warfield; and sisters, Alice Wainscott and Deloris Miller. Survivors include her sons, Michael Wainscott (Michelle) of Whitley City, Harry Wainscott (Paula) of Stearns, and Anthony Smith (Samantha) of Philippi, West Virginia; daughter, Jacqueline Warfield (Jeb) of Somerset; brothers, Alan Warfield and Roger Hall both of Canton, Ohio and Darrell Hall of Florida; sisters, Kathleen Mayle of West Virginia, Beverly Peterson of Arizona, and Brenda Drambel and Linda Dyer both of Canton; 14 grandchildren, and 26 great grandchildren. Memorial service will be held Saturday, February 2, 2019 at 2pm at the McCreary County Funeral Home with Bro. Josh Stephens officiating. The family will receive friends Saturday after 11am at the funeral home.